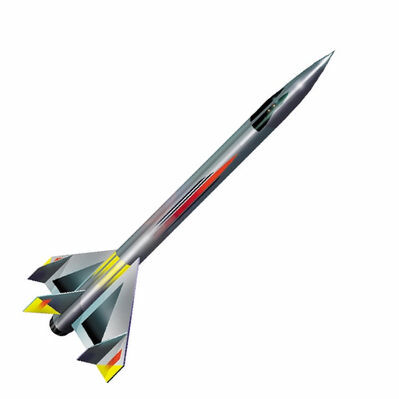 LOC Precision STAR FIGHTER 152 Kit - Futuristic rocket with precision laser cut fins. Fins and wings are slotted for easy assembly and LOCation of parts for gluing. 24mm size motors require the LOC Precision MMA-1, 29mm to 24mm motor adaptor.